Sedition is delighted to be working with the Museum of Contemporary Art Toronto Canada to present a curated screen of artworks as part of Nuit Blanche Toronto on 30 September 2017. 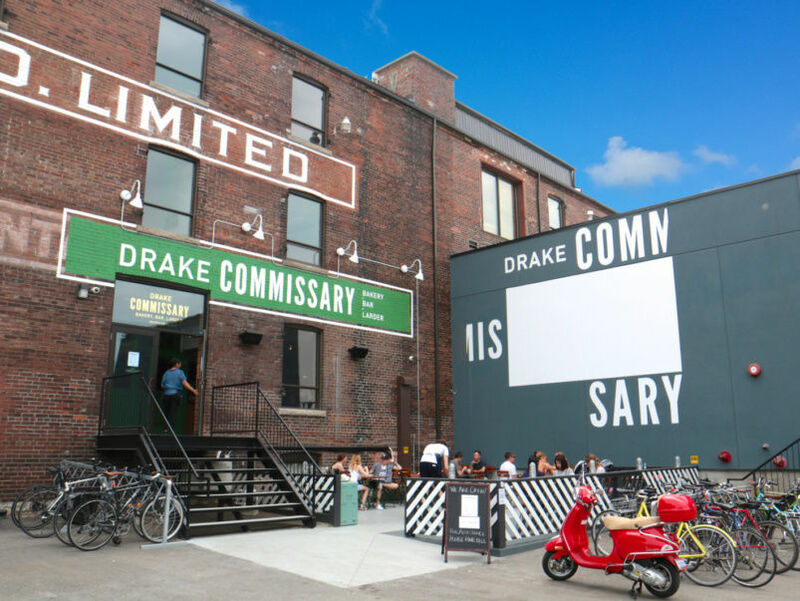 For each hour throughout the late night art event, works by artists from Sedition will be projected on the Drake Commissary, the new 8,000 square foot emporium that is situated on 128 Sterling Road, next to the future location of MOCA Toronto, which is due to open in Spring 2018. Nuit Blanche in Toronto is now in its 12th year and has grown to become the city’s largest arts festival featuring over 85 contemporary art projects by more than 350 local, national and international artists. From sunset until sunrise, the city is taken over by performances, exhibitions, talk, events throughout the streets and public spaces and institutions. This year, Sedition is working with the Director of Programs of MOCA Toronto, November Paynter and Mia Nielsen, Head of Cultural Programming at the Drake to curate a selection of works for display on the screen outside of the Drake Commissary. Each hour a different artist will be featured, including Iván Argote, Mark Lewis, Angelo Plessas, Mat Collishaw, Tim Noble & Sue Webster and others. For those in Toronto, take a photo of the display during Nuit Blanche and post it on Instagram and mention @seditionart, @MOCA_Canada and @DrakeCommissary for the chance to win the artwork on display. One winner will be selected on Monday, 2 October. Find our curated screen outside of the Drake Commissary at 128 Sterling Road, off Perth Avenue, Toronto, ON M6P 0A1, Canada on 30 September 2017 from 7pm until 6am.